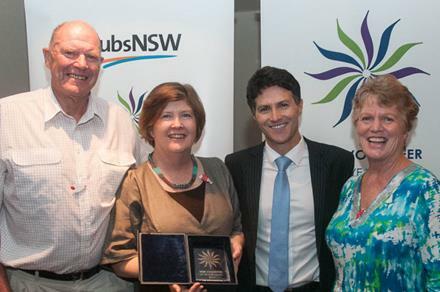 Meet our 2013 NSW Volunteer Team of the Year..
and the 2013 NSW Senior Volunteer of the Year goes to.. Extraordinary volunteers from across NSW along with special guests including the Honourable Victor Dominello, Minister for Citizenship and Communities, Anne Fitzgerald, Executive Manager of Member Services & Marketing at Clubs NSW and Paula Duncan AM, Ambassador of the 2013 Volunteer of the Year Award gathered last Thursday for the NSW Volunteer of the Year Award State Ceremony at The Kirribilli Club, Lavender Bay. The NSW Volunteer of the Year Award program is an initiative of The Centre for Volunteering, the peak body for volunteering in NSW. Now in its seventh year, this state-wide Award program recognises and thanks volunteers in NSW who generously give more than 235 million work hours each year in NSW, contributing an extraordinary $5 billion to the State’s economy. 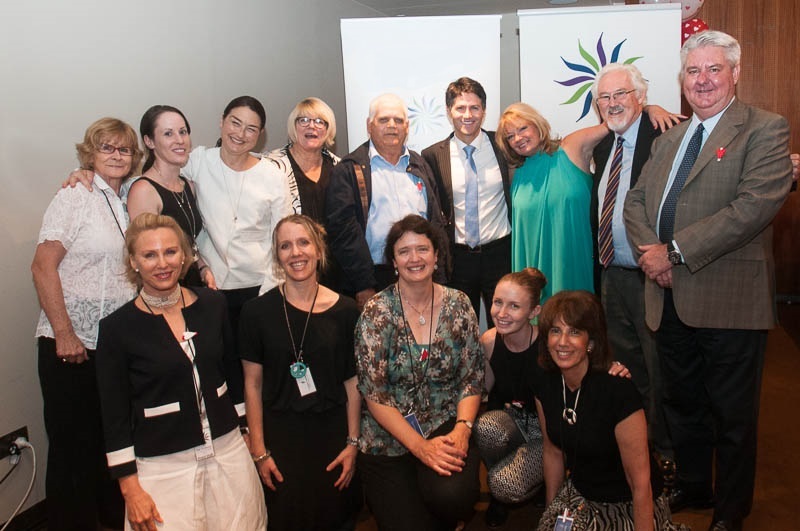 The Centre is grateful for the ongoing support of Award Patron, the Hon Victor Dominello, and Award Ambassador, Paula Duncan AM. The Award program is generously sponsored by the NSW Government, and ClubsNSW, the industry body which represents the state’s 1400 not-for-profit clubs, and Communities NSW. A big thank you to Kristin Sinclair in building the awards program up over the last seven years (and in assisting in the handover for 2013). Rachel Rainbird and Kirralee Phillips were instrumental in the success of this year's program - a great team effort! 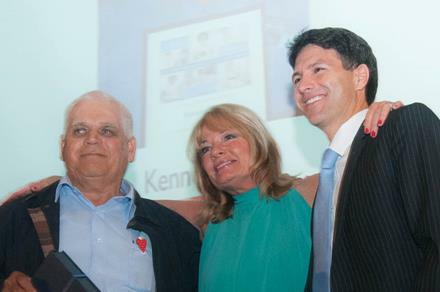 Mr Kenneth Bolt (on far left, pictured with Paula Duncan AM, Minister Victor Dominello) was named 2013 NSW Volunteer of the Year for his outstanding contribution to the community over the last decade. Mr Bolt of Ballina has been volunteering at the Tweed Byron and Ballina Community Transport Inc. (TBBCT) since the inception of the of TBBCT’s Aboriginal transport program over ten years ago, as a community transport volunteer driver. In this time he has completed approximately 3,500 trips, driving frail and extremely sick people nearly 150,000 kilometres. Mr Bolt drives patients to their renal dialysis treatment 3 days per week using his own vehicle or using a service owned community car. His passengers are frail and have chronic disease. He picks passengers up from their homes, assists them to mobilise to the car, and then brings them to the renal unit at Ballina or Lismore base hospital. He drives approx. 100 kms each day to and from isolated communities, in the greater Ballina area and either Ballina or Lismore base hospital. There is often a wait of 4-6 hours for the treatment, and Mr Bolt then assists them from the treatment unit back to their homes irrespective of distance. The 2013 Volunteer Team of the Year award went to the Cootamundra Creative Arts and Cultural Centre Committee. The eight volunteers that make up the Cootamundra Creative Arts and Cultural Centre Committee have been with the organisation since it was first created ten years ago. The team worked together to gain funding to build and establish a multi-purpose arts faculty for the Cootamundra Shire population, a vitally importance resource for this rural community. The Centre main focus’ is to allow the education, production, exhibition and performance of arts activity to the public as well as targeted audiences such as at risk youths, who are able to access comprehensive programs and workshops, while making use of the facilities within The Centre. Three representatives from the committee attended the award ceremony in Sydney last week (pictured here with Minister Dominello). 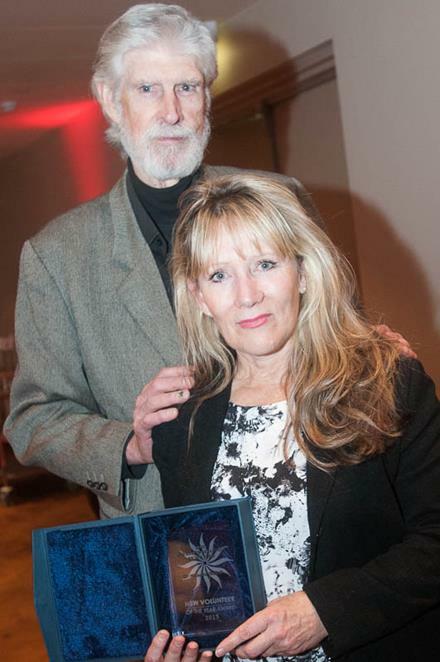 ...Dr Howard Ralph (pictured with his wife Glenda) for his tireless work with injured and orphaned wildlife in Mona Vale (Northern Beaches, Sydney) and south/west NSW. Dr Ralph trains many wildlife rescuers across NSW and Tasmania - often at no cost, and only charges to cover costs such as venue hire and printing.He has treated wildlife injured as a result of the Victorian bushfires, Qld floods and cyclones. The more common injuries treated by Dr Ralph are a result of roadside collisions with wildlife. Dr Howard Ralph hopes that winning the award will shine the spotlight on the high number of roadside deaths and injuries to Australian wildlife (in the thousands nationally). His fervent hope is that drivers will learn to slow down on roads especially on dusk (when visibility is lower, and animals move around areas to find food and water). Howard pays for the costs of travel, accommodation, medications, bandages, cages, food, drugs and assorted equipment from his own pocket, and currently receives no funding. Our other winners will be profiled in January and February 2014 newsletters, so stay tuned.. The Centre for Volunteering will be closed over the Christmas and New Year break from Monday 23 December 2013, and will reopen on Monday 6 January 2014. The Volunteer Referral Service will reopen on Wednesday 8 January 2014. The School of Volunteer Management will reopen on Monday 13 January 2014. Thank you to all our volunteers, members, partners, sponsors, speakers,board members and staff for their involvement with us in 2013. Best wishes for a happy holiday season, and a rewarding and peaceful New Year.